Help fans enjoy your match in cool comfort when you issue the Soccer Schedule Drink Ticket! A shot of a successful goal is prominent on the template, which also shows off a bright playing field, your team emblem and seven lines ready to edit with your event info. 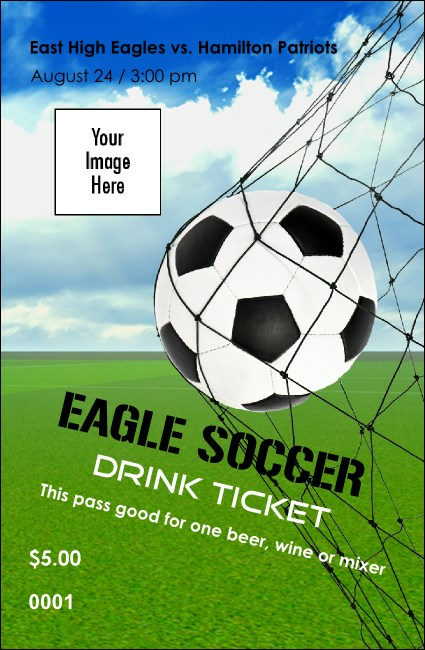 Approximate size: 2.71" x 4.14"
Shop TicketPrinting.com and find the right drink ticket to help you celebrate in style!